iPad or eReader? If you had to pick one, which would it be? I am getting perilously close to getting a tablet, but having held out for long enough, the choice just got easier. I was never convinced about the early tablets for the simple reason that they just did not handle enough on the production side of things I would want one to do. I have talked to many about the fact that these were initially conceived as ‘consumption devices’ and every person I spoke to would add the “yes but…” factor. Meaning they put up with what an iPad lacked and found comfort in what it enabled. 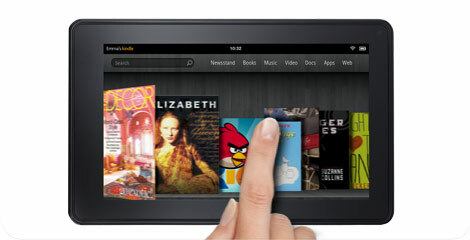 But Amazon showed off the latest Kindle Fire last week, and it seems as if the debate gets more complicated. So now, instead of getting a tablet that also behaves like an eReader, I could get an eReader that works like a tablet. The reviews give me plenty of backup for my bias, especially the fact that you get the Android operating system, and I could potentially get more out of the Amazon eco-system than Apple’s. The only thing that concerns me is how Jeff Bezos positions the Kindle Fire. “We don’t think of the Kindle Fire as a tablet …We think of it as a service.” I can see why he said that, for market share purposes. It is better to create your own category than fight for space in a crowded one. But if it also meant that these devices were mainly on-ramps to the online store, then it makes it nothing more than a shopping cart camouflaged to look like a thin sheet of glass. I could see where schools could find Kindles more attractive than iPads, if only because they have the promote reading first, after which follows sharing, research, note-taking, and content creation for collaborative purposes. If you’re an educator, I’d like to find out on which side of the fence you are. Just recently, Teach for America (TFA) members started experimenting with iPads. I recently wrote about it, especially the emergence of an always-on classroom –first in universities, and every now and then, in high schools. Send me your recommendations, your concerns, and your predictions!